If you follow this website you know I am a massive fan of Do-It-Yourself Umrah and I advocate the flexibility and help to provide this site as a resource for planning your own Umrah without an agent. Now, I am not saying agents are not good, definitely not the case. Packaged Umrahs are an important part and good for many people but for others like Millennial Muslims (which is who I write for) it can be an outdated method. Over the years, I know that many agents read these posts and try to sneak a cheeky comment and promote their packages. -This doesn’t work for them since they go straight to the delete inbox! So today I decided to check out the price of packages VS the Do-It-Yourself Umrah method. I wanted to put it to the test purely on a saving money aspect since I always advocate here that your money should work harder for you rather than line the pockets of others. Again this is purely for the purpose of helping you decide which is best for you, it is not for the purpose of advocating to stop going to the agents. But I honestly prefer doing my own Umrahs for so many reasons like these here. I decided to pick an agent who I know follows the blog closely to see the price difference of pricing this on my own using just the good old internet. Now bear in mind that agents have better price deals with hotels so they can actually have bigger profits than mentioned below. 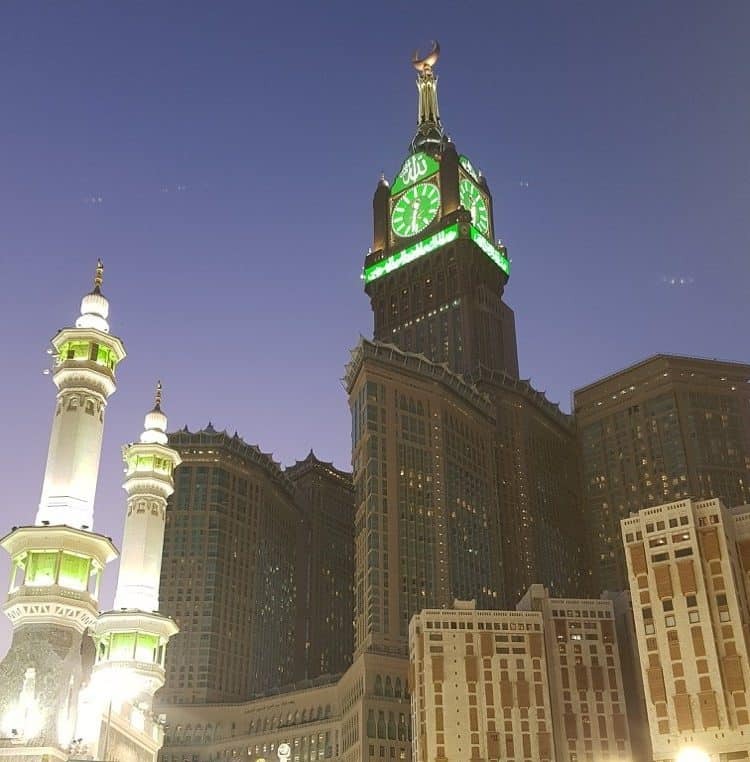 Saving on doing your own Do-it-Yourself Umrah £136 per person in two peoples room, so if a couple is going it will be £272! If you are a couple this is a saving for two people of £470 by just doing it yourself! Now, if you are a family or three people together the saving is even more because of the price saving per person. As you can see the prices vary greatly based on the star options and how comfortable you want your Umrah to be. Agents also get a bigger commission as they can negotiate better prices than we can, so the profit they make is greater. Many people chose to go for their first time on Umrah with an agent which is totally normal and understandable as you get to feel more comfortable going on your own the second and third time. Transportation to Makkah and Medina is not included in any of these packages and it costs extra. I have a great in-depth guide on the options you have for transport and also touring around the cities. We also now have a train that connects Makkah and Medinah and it’s a great option for families. It is very comfortable and easy to use. Check out the guide here. I have tons of articles on Umrah saving tips and I recently did an Ultimate Guide to DIY Umrah which has everything you need and it is a must read if you are planning your own Umrah. 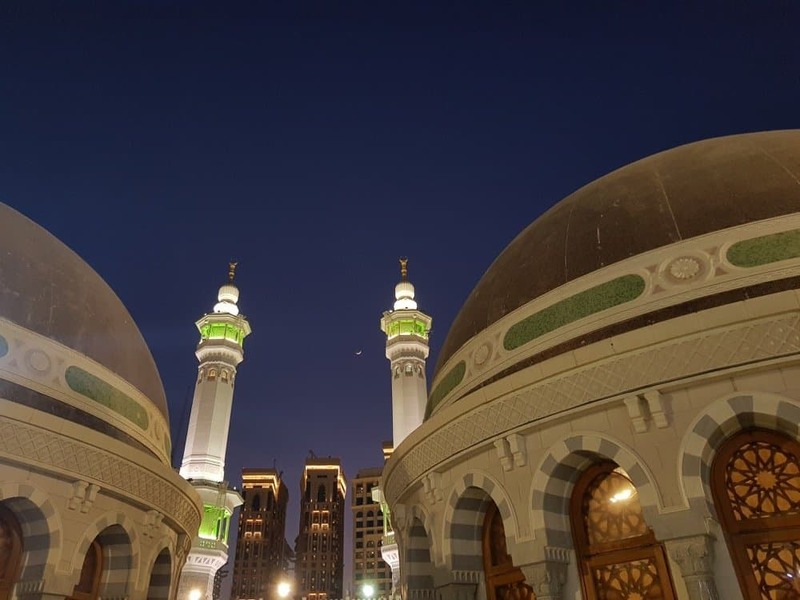 If you want to find out how to do Umran in the last 10 nights of Ramadan for only £800 per person, to read more about it click here. My favourite way of saving money when it comes to Umrah is knowing the prices and sales. For example, airlines have sales 3 times a year offering up to 40% discount. Also booking your flight 6-8 weeks in advance will give you bigger savings, the majority of people will be booking their flights for about a month in advance which will spike the flight prices. If you are too late in the game or wait for your Umrah visa I have found through my own testing and talking to other bloggers that about 2-3 weeks the prices still go down. My favourite tool for tracking these changes is Google flight track. To read the article on this click here. Hotels are so much easier to save money on because thankfully in Makkah and Medina we now have so many options we can choose from. From luxury hotels only steps away to new budget options further out that can cost as little as £30 a night. Currently, Hilton just started their sale offer and the hotels in Makkah and Medina are included providing a good 35% saving on prices. Keeping an eye on these promotions always helps! For me the biggest savings I have ever done, and I have done some great ones in Ramadan 2015 when we saved over £18,000 using loyalty programs. Loyalty programs save me a ton of money every year and I usually try to be strategic on how to make them work. I stay in the same hotel and then use the points accumulated to just book those in Makkah for free. An example of this will be the Accelerate promotion from IHG hotels. You can read about it here or check the review of the Intercontinental Makkah here. If loyalty programmes are not something you are interested in then my go-to easy to do saving will be using the Hotels.com because for every 10nights you book via their site, you receive one free voucher equivalent to the average per night spend you did. For example, if you spend 10 nights at £100 per night you will receive a voucher for £100. You can use this voucher for other holidays and even an Umrah the following year. It’s by far the easier promotion out there and it is a great way to save some extra money. Overall by using the above tips and doing your own DIY Umrah option, you can save a further 10%-20% off your prices just by keeping an eye on sales, planning in advance and using a site like Hotels.com. That saving for me is definitely worth keeping in my pocket so I can spend on more travelling and fun activities. Please do share below your Umrah travel tips as I always love checking few more out. Who Is DIY Umrah for and What is its Future? -Should Umrah Agents be Worried? With DIY package, can I get a room for 5 adults and 1 kid? Most of the search options just list 4 Adults per room. You might not be able to do this. Most will have either 4 adults or adults and kids of that number. Best to get two rooms as they will charge for the extra beds and sometimes its cheaper to get two rooms. Also this will depend on the age of the child. Sometimes we are scare to do the DIY but it is really interesting to see the amount we can save. The agencies definitely add their profits to the packages.